This entry was posted in Tacoma, WA State - Pierce County and tagged car, dawn, light, morning, reflection, trees, Winter on November 18, 2014 by admin. 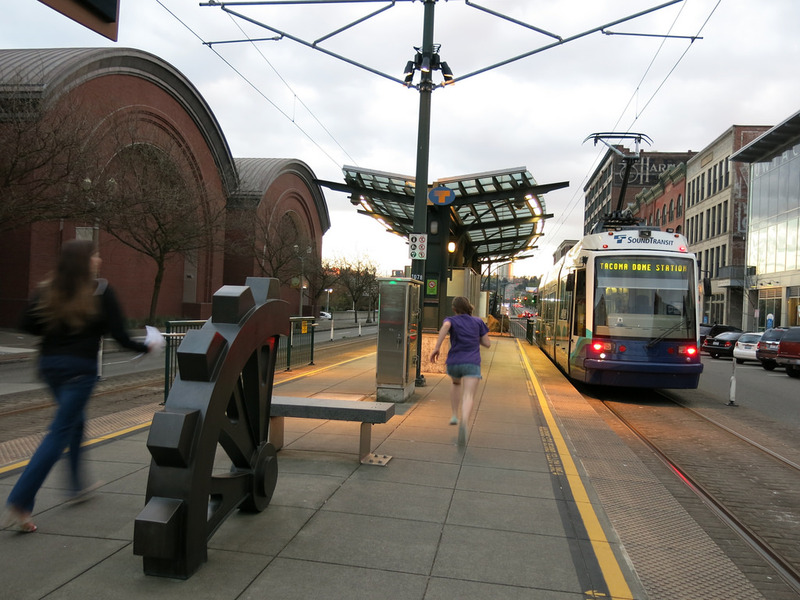 The Union Station Link Stop is situated on the median on in the center of Pacific Avenue between South 19th and South 21st Street in the Museum District in proximity of the University of Washington, Tacoma Branch and Tacoma’s School of the Arts. Presently the Link runs 1.6 miles, though there are expansion plans. The public art in the foreground represents shipbuilding in the area’s past. Below is another photo of the station and a few other near by shots. This entry was posted in Art -- there is art here!, Tacoma, Travel, WA State - Pierce County and tagged art, light, Link, Museum. 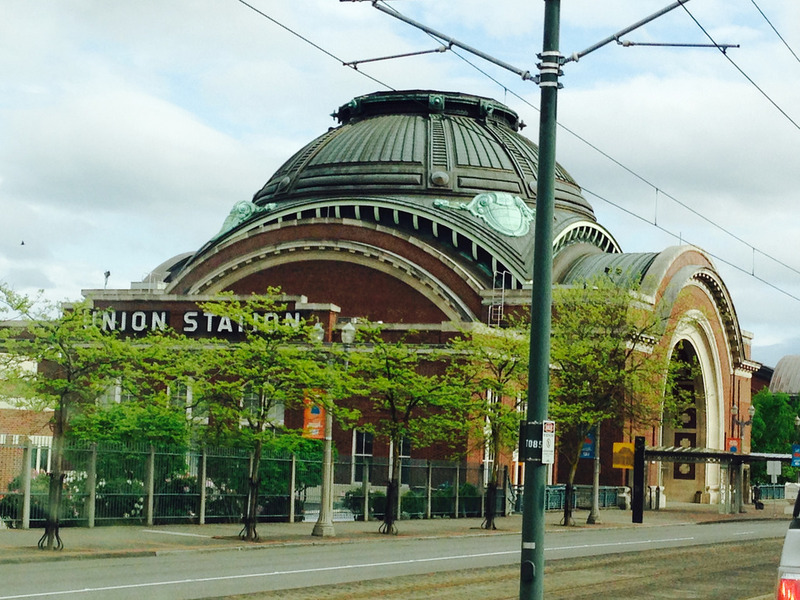 district, shipbuilding, Tacoma, transit, transportation, Union Station on April 12, 2014 by admin. Subliminal Message at PLU, do you see it? Student art at PLU is the new place of the day. Most people won’t see the subliminal message here, but I do! This entry was posted in Art -- there is art here!, Parkland, Schools, WA State - Pierce County and tagged art. 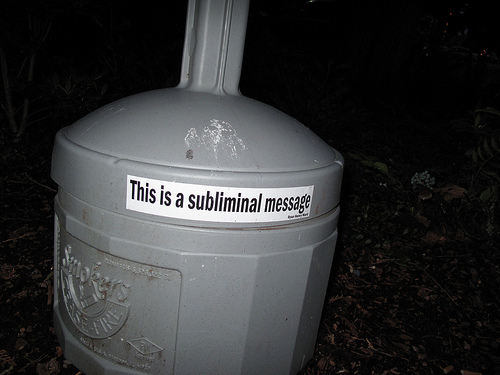 sibliminal, light, message, Pacific Lutheran University, PLU, post on July 17, 2011 by admin. I was out and about unusually early this morning and just loved the light on Union Station at 1717 Pacific Avenue. The station was constructed in1911 by the architectural firm of Reed and Stem (who also designed Grand Central Station in New York City) and was originally used as a passenger station. In 1974 it was listed on the National Register of Historic Places. The building was abandoned in 1984 and in 1990 – 1992 it was renovated for use as a courthouse of the United States District Court for the Western District of Washington. The statue out front is called New Beginnings and was sculpted in 1984 by Larry Anderson. This entry was posted in Art -- there is art here!, Government, Historic Sites, Museums, Tacoma, WA State - Pierce County and tagged 1984, arch, architecture, art, beaux-arts, copper, courthouse, Dale Chihuly, dome, glass, Larry Anderson, light, morning, neoclassical, New Beginnings. 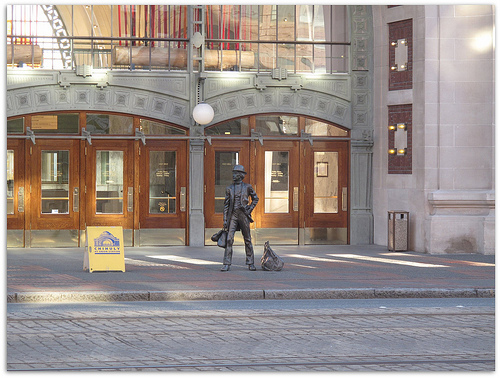 statue, Pacific Avenue, Tacoma, Union Station on May 20, 2011 by admin. Today’s new place is the Tacoma Public Utilities Building on Union Avenue. Their website says that they are the largest department in the Tacoma City government and public owned since 1893. This entry was posted in Government, Tacoma, WA State - Pierce County and tagged City of Tacoma, government, light, power, rail, Tacpma Public Utilities, Union Avenue, water on January 10, 2011 by admin.